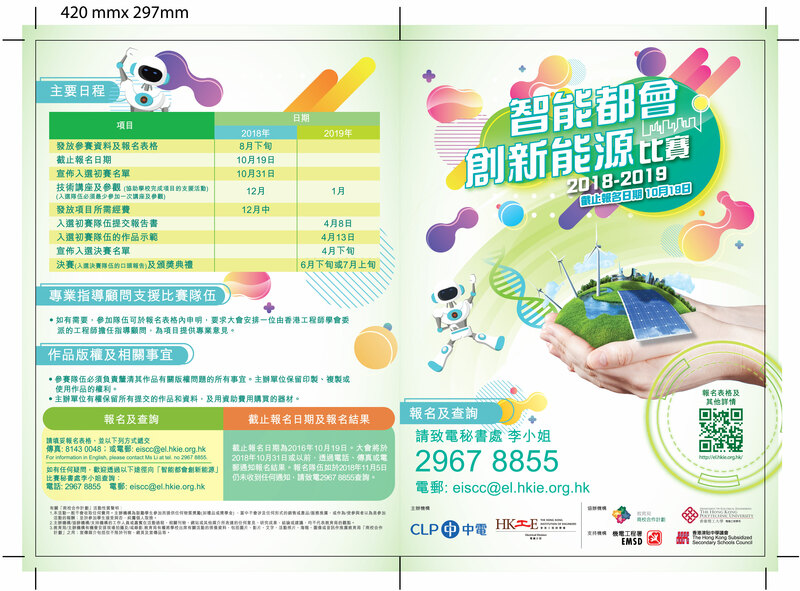 The programme is sponsored by CLP Power Hong Kong Limited. 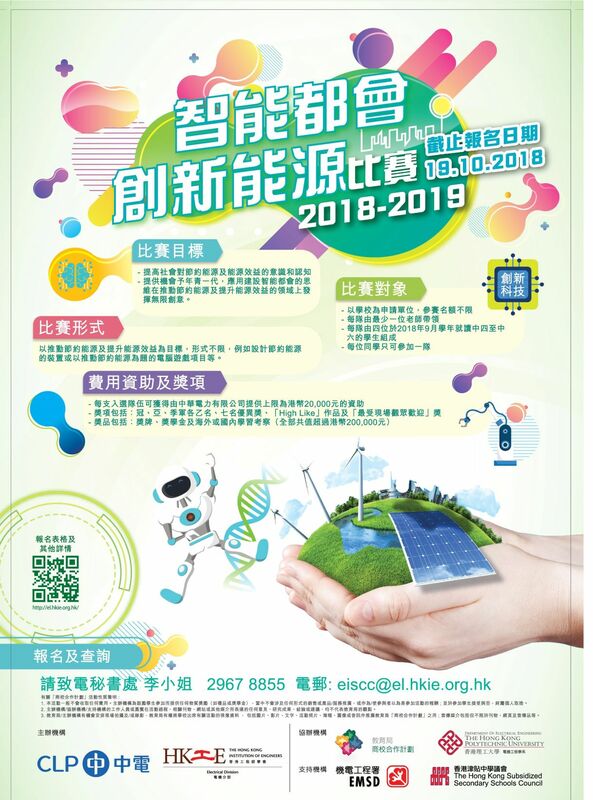 The target participants are secondary school students to propose and implement projects with innovative ideas to develop energy efficient initiatives or to promote energy efficiency to the community. 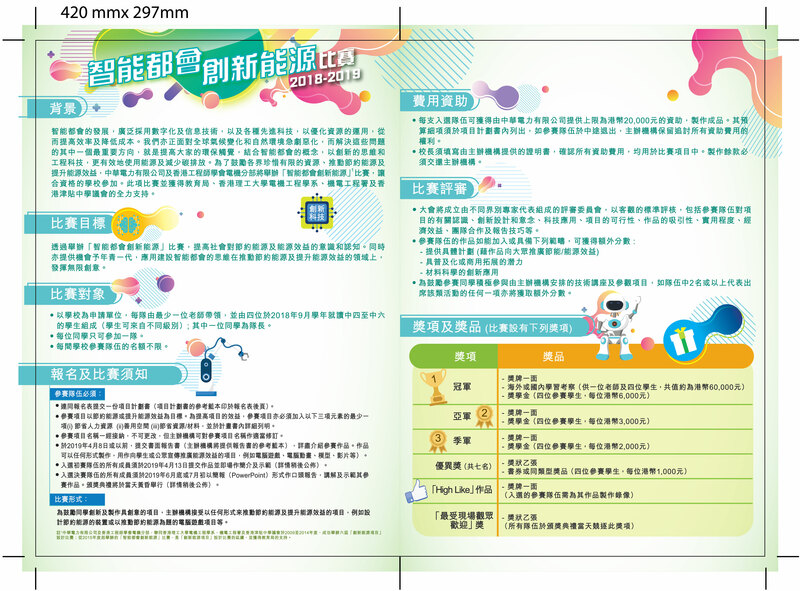 Please click to the following link for the application form, poster and leaflet.